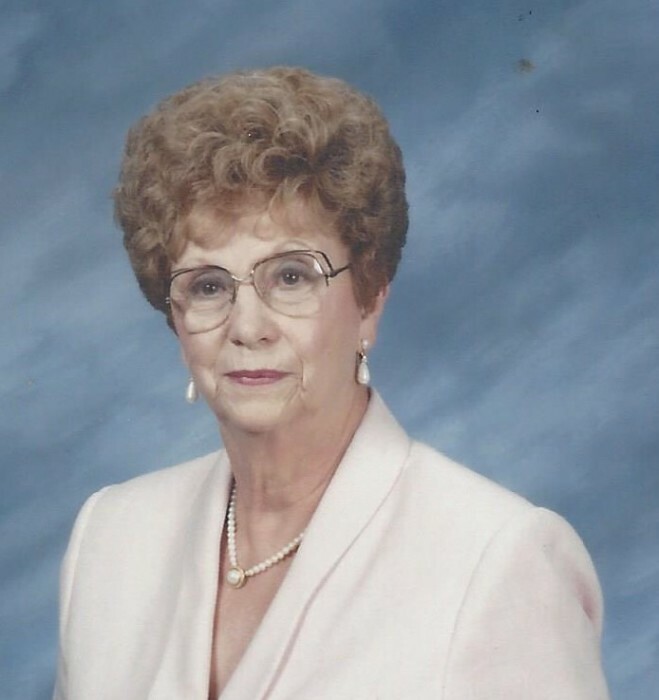 Madonna Lucille (Cloncs) Grimes, age 91 of Crawfordsville passed away on Sunday, March 24, 2019 at Whitlock Place in Crawfordsville. She was born in Roachdale on August 31, 1927 to the late Sanford & Vera (Drake) Cloncs. Madonna graduated from Roachdale High School and in 1945 in New Mexico she married Robert Grimes, who preceded her in death in 1995. She was a member of the First Baptist Church and was the secretary for the Wabash College Athletic Department for over 30 years. She was a great cook and enjoyed gardening and working in her yard. She is survived by her son, Larry (Marie Jorgensen) Grimes of Tampa, FL; a sister, Dorothy Gunn of New Palestine, IN; 6 grandchildren; 4 great grandchildren and several nieces and nephews. She was preceded in death by her parents; her husband, Robert Grimes; a daughter, Teresa Ratcliff; and two brothers, Guy & Gene Cloncs.